Refrigerator, freezer, multi-temperature wine compartment, BioFresh technology and an IceMaker: the SBSes 7165 Side-by-Side has it all! 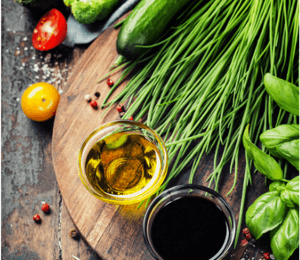 Never before has one single appliance offered six different climate zones, each delivering its own perfect freshness solution – and that’s not all that this appliance has to offer! So, you’re looking for a sophisticated refrigeration experience? Then look no further! The SBSes 7165 offers you six (yes six) climate zones, and all in just one appliance – total sophistication! 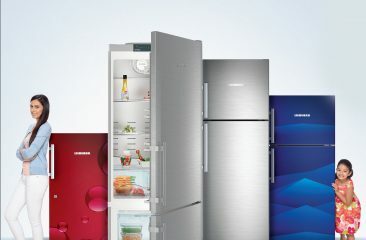 Well, actually, you get all of this in one Side-by-Side appliance to be precise – this type of fridge is often referred to as an ‘American refrigerator’, but this blanket term is not particularly accurate in our case, as you will see. To help you to understand the sheer impressiveness of the SBSes 7165, let’s take a closer look at this Side-by-Side and its various climate options. 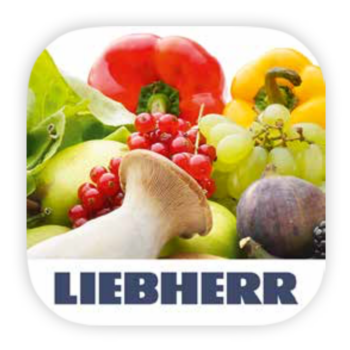 And note: no other appliance in Liebherr’s extensive range offers greater refrigeration and freezing convenience than the SBSes 7165 – pairing premium features with outstanding design. The wine compartment has a net capacity of 126 liters. It features two separately-controlled zones to enable red wine, white wine and even Champagne to be stored their ideal drinking temperatures, between +5°C and +20°C, ready to be served at any time. The LED lighting can either be left switched on or dimmed to varying degrees, as desired, for attractive presentation of the wine. 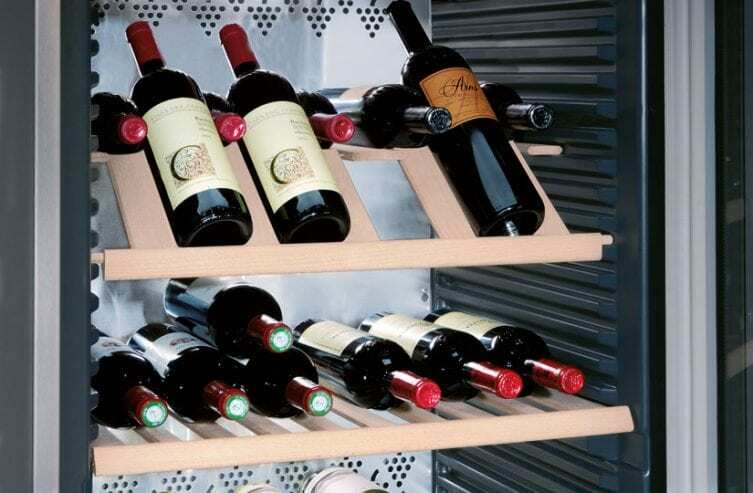 The wooden shelves are mounted on telescopic rails, and these can partially hinge so that you are able to present your wine bottles at an eye-catching angle or so that you can use the shelves to store open bottles. The NoFrost freezer compartment has a net capacity of 119 litres and provides optimal freshness for storing food long-term. 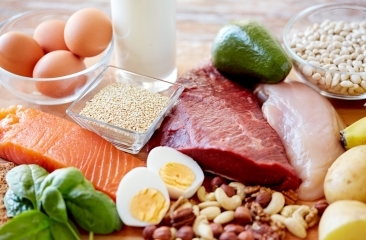 NoFrost technology is an extremely convenient feature as it ensures that defrosting will not be necessary. 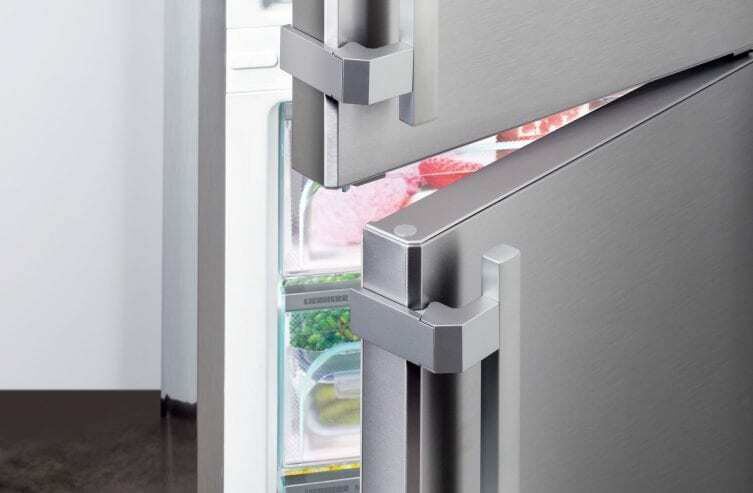 An integrated, plumbed-in, and fully automatic IceMaker keeps two drawers stocked with ice cubes at all times, ready for ice-chilled drinks whenever you want them. The spacious refrigerator compartment has a net capacity of 483 litres, 111 litres of which are designated to the two BioFresh/BioFresh-Plus safes. 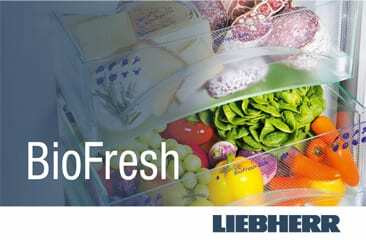 At a temperature close to 0°C, produce such as fruit, vegetables, meat and dairy products stay fresher for much longer in the BioFresh compartment. BioFresh-Plus technology makes it possible to either lower the temperature in the top BioFresh safe to -2°C for optimally storing fish or to set it to +6°C for perfectly storing tropical fruit. 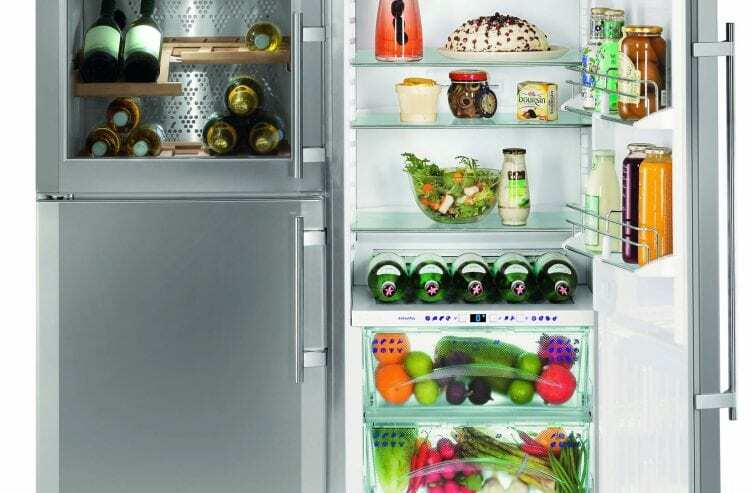 Thanks to the individualised climate storage areas offered by the refrigerator, BioFresh compartment and freezer, together with the two different temperature zones within the wine compartment, optimum storage temperatures can be achieved for all types of produce. Have you been counting? Two climate zones in the wine compartment, one in the freezer compartment and three in the refrigerator compartment – that’s six (!) climate zones, all providing improved and lasting freshness and quality. Furthermore, the stunning appearance of our Side-by-Side models makes them a real highlight in any kitchen environment. Their distinguished, premium-quality SmartSteel finish not only makes them visually captivating, but also confers additional advantages: SmartSteel is highly scratch resistant and easy-to-clean, and it significantly lessens the visibility of fingerprints. Incidentally: did you know that our Side-by-Side appliances are also extremely easy to install? 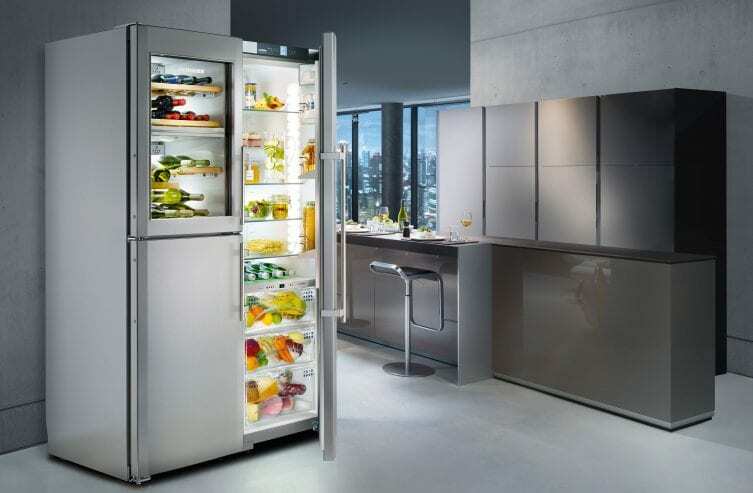 Liebherr makes these models from two completely solo appliances, which are combined on installation. This set up makes them completely different from the standard 90 cm to 100 cm wide other side-by-sides as the two ‘solo appliances’ each have a footprint of 60 x 63 cm (approx.). 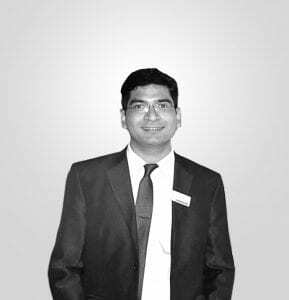 This difference has a significant impact on the overall net capacity, and also on the ease of transportation, as other side-by-side models, which cannot be split apart, are trickier to maneuver in stairwells and hallways during transportation and when moving house. Once the ‘solo appliances’ from Liebherr have been unpacked, installing them is extremely easy and, depending on the SBS features (e.g. hoses for a plumbed-in connection), very quick. The appliances are connected together at a small number of points and subsequently fitted with trims to create the impression of a single unit. To ensure a perfect overall effect, even when floors are uneven, the SBS solo appliances come with height adjustment features so they can be independently leveled to the correct position, ensuring that the handles are perfectly aligned. The SBSes 7165 Side-by-Side is an impressive all-rounder, offering an amazing six climate zones in just ‘one’ appliance. Do you have any questions about the SBSes 7165 Side-by-Side, or about our Side-by-Side appliances in general? Then please write to us! Use the comment function below this post or start/join in discussions with us on Facebook.